Welcome to Ok Engineers as one of the professional managed entities engaged in Manufacturer and exporter of Brass turned parts like Cable glands for electrical & Wiring industry, Lamp parts, Automotive components, Brass Insert for moulding industry, Brass plumbing fitting, Brass hydraulic and pneumatic fitting for sanitary ware industries, Brass precision components for hi-tech application as per drawing and samples. Due to interest in modern manufacturing technology, Quality accuracy measuring and testing equipment and R & D Facility company has successfully developed precision Turned components, Electrical components, Brass lamp parts, wiring accessories etc. many more. Our main aim is to deliver customer friendly and reliable services. We supplying our brass products all our India as well as offshore regions likes USA, UK, Germany, France Europe, middle-east and Spain. OK Engineers a Jamnagar based company is one of the biggest manufacturer, exporter and supplier of Brass Turned Parts all over India as well as offshore. 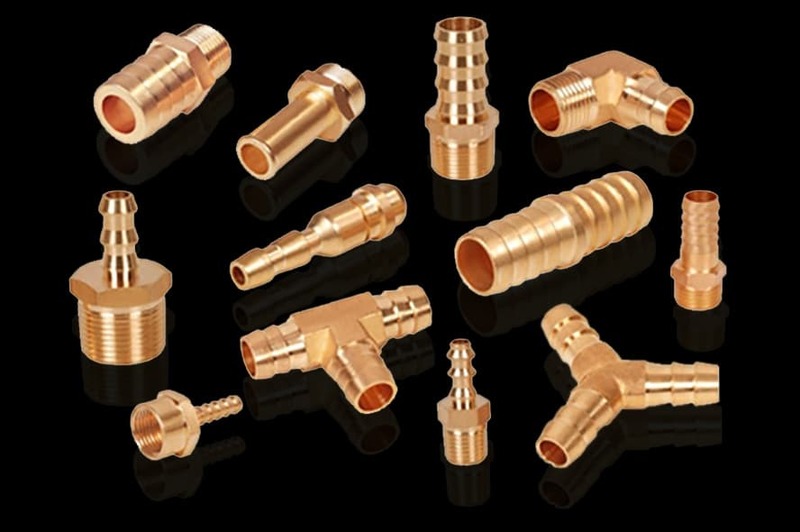 We manufacture products like Cable glands for electrical and wiring industry, Lamp parts, Automotive components, Brass Insert for Moulding industry, Brass Plumbing Fitting, Brass Hydraulic and Pneumatic fitting for sanitary ware industries, Brass Precision components for hi-tech application as per drawing and samples. Brass Turned Parts are widely used in Automobile Industries, Telecommunication Industries, Aerospace Industries, Pharmaceutical Industries, Plastic Industries, Electrical Industries, Mechanical Industries and many more. OK Engineers is known for its excellence in Quality and reasonable price. We are eager to serve our best to our clients by applying new ideas and advance technologies to improve quality of the products, which can be manufactured at minimum rate. We choose best quality raw material to ensure quality of final products. Our products are suitable for all Industrial Assemblies and Applications. With the help of hi-tech machinery, skilled workers and experienced management team, we have been able to satisfy our customers’ requirements in specified time. Brass is most commonly and widely used metal for manufacturing quality products. Brass metal features heavy tensile strength to get shape quickly and has highly flexible nature that makes it durable too. Low melting point of brass alloy enables quick molding. Although they are expensive compared to other metals like iron, because brass is rust proof and long lasting. Brass is an alloy of copper and zinc, which is used in various industries and categorized into different grades. The brass turned parts are manufactured categorize and grade brass on the basis of quality of zinc and copper mixture. We manufacture a wide range of Brass Turned Parts maintaining high quality of raw material and quality management processes. We are acknowledged in market for providing high strength and intense pressure bearing in conduction of electricity, and making all this available at affordable rates. We also provide customized solutions to our customers. As per requirement products are specially designed and delivered to customers at required time. We are one of the best Brass Precision Turned parts manufacturer and supplier, understanding the requirement of our customers, providing them what they are looking for. We understand that quality is really very important along with cost effective price. We make sure that you get finest quality product, by using quality raw material, technology and following proper product line management making our manufacturing system optimal and making products at cost effective rate. 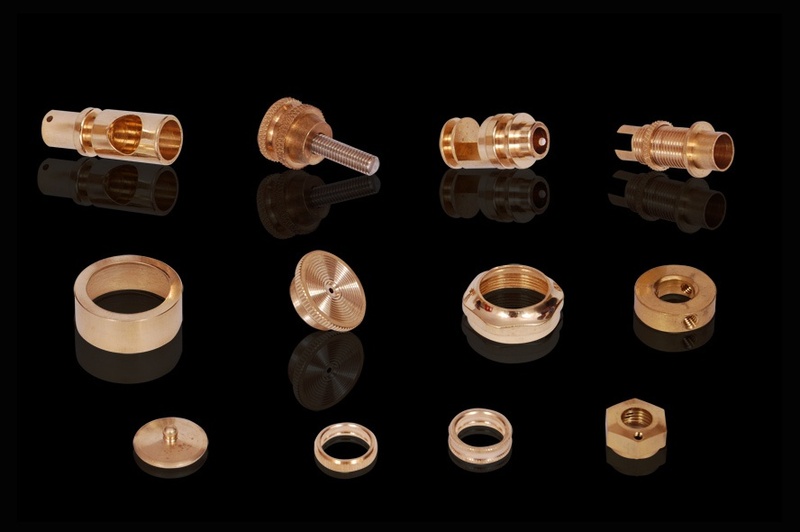 We have been engaged in designing, developing and delivering various Precision Brass Components for application across diverse manufacturing units. Precision turned parts are made as per client’s requirements like brass anchor, electrical parts, lock parts, energy meter parts, screw nuts, bolts and many more. High quality brass rods are used in manufacturing of precision parts. The quality of material enhances the life of the product under various conditions. The Brass Precision Components are used in various gadgets of automobile industry, electrical and electronic equipments including home appliances. The Brass Precision Components are time tested for their repeated usage without any loss of the surface by wear and tear or corrugation. These components are designed keeping in mind the needs of application and use in Hydraulics & Pneumatics, Valve Assembly, Power Transmission, Textiles and many more. OK Engineers are major supplier of brass turned components to countries like – Germany, Switzerland, U.S.A, U.K., Sweden, Poland, Netherland, Spain, France, Italy, Czech Republic, Denmark and all European Countries and everywhere in India. So high standards are maintained while manufacturing these parts, as products are to be sent to a longer distance proper quality is maintained, that there is no requirement of return because then the process will become slow and full of hassle. We ensure that we deliver exactly what they require and deliver within the timescale they need. Being an ISO 9001 certified company we ensure an accurate management and guarantees the quality of the product. Our team works 24hours a day so that we are able to fulfill the orders as soon as possible and keeping the price as low as possible. We constantly seek improvement and process efficiency in order to meet the most unique requirements of the market. O.K engineers are manufacturing superlative quality Brass lamp parts. Offered Brass products as per sample, specification given by our client. Offered at competitive rates we ensure complete reliability for our brass products. Owing expertise in the market we are one of the manufacturing and exporter of Brass Turned parts in Jamnagar. Manufactured by utilizing fine quality and the latest advanced techniques. we are one of the manufacturing vast ranges of Brass Sanitary fitting in light of Global market requirement. As we offer all the brass products as per drawing and specification are given by our valuable clients. OK Engineers is a well-known company manufacturing, supplying as well as exporting diverse Brass parts. We have established a strong foothold in the market owing to the high quality, out-standing features, dimensional precision and competitive pricing of our products. 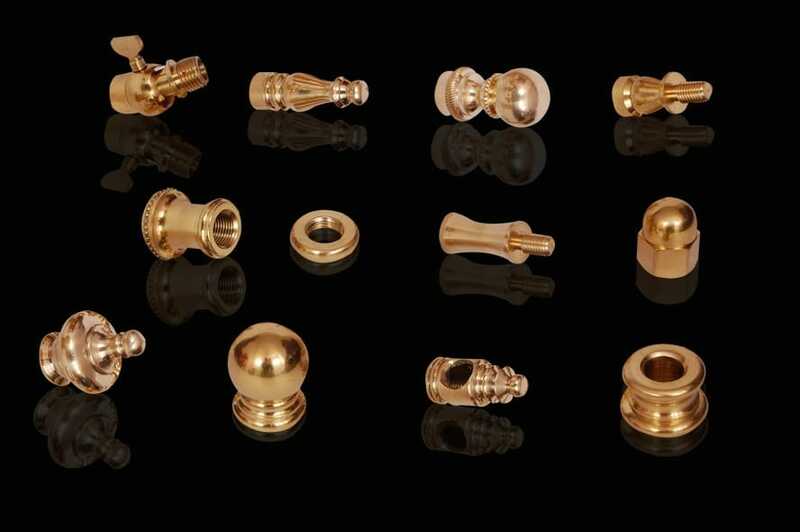 Our highly admired and demanded products range incorporates of Brass Precision turned parts, Brass Turned Parts, Brass Fittings, Brass Electrical Accessories, Brass Lock Nuts, Brass Reducers, Brass Inserts, Brass Hose Fittings, Brass Electrical Connectors, Brass Screws and Brass Turned Metal Parts etc. Ours being an ISO 9001:2008 certified as well as customer-centric company, we put a strong emphasis on quality. We procure high grade raw-materials only from reputed vendors to fabricate our brass parts. We maintain quality at every single phase our product processing. We take utmost care of their dimensional accuracy and finishing. Our quality control department finally makes sample tests of the finished goods to ensure their perfection and durability. Hence our customers trust on us for obtaining flawless brass parts. We also customize these brass parts exactly as needed by our clients. Our chief goal is to satisfy our customers. Hence we always dispatch our products right on time without failure. We believe this facilitates our customer’s work process without any hindrance. Hence our products are very popular in the domestic as well as international market. Ok Engineer is distinguished Manufacturer, Exporter and Supplier of All types of Brass Parts like: Brass Precision turned parts, Precision Brass Parts, Brass Turned Metal Parts, Brass Turned Parts, Brass lamp parts, Brass Screws Turned Metal Parts and Brass Electrical Accessories in Jamnagar, India.